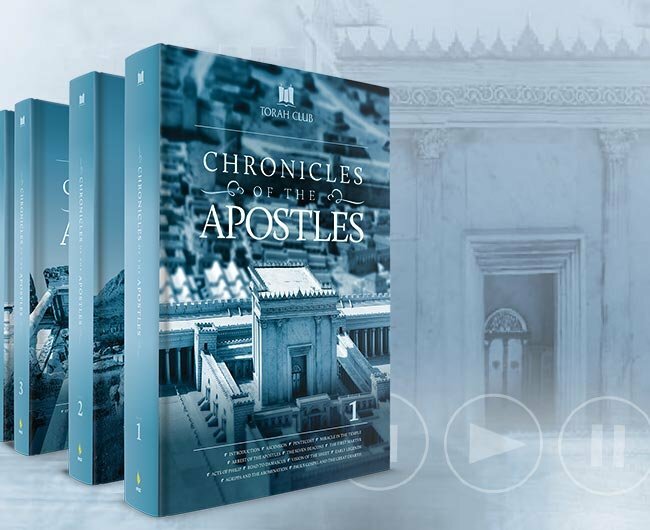 Chronicles of the Apostles takes students on a year-long study of the book of Acts with Messianic commentary and Jewish insights into the Epistles and the whole New Testament. Follow the lives and adventures of the apostles beyond the book of Acts and into the lost chapter of church history. Study Jewish sources, Church fathers, and Christian history to reveal the untold story of the disciples and their disciples all the way into the second century. 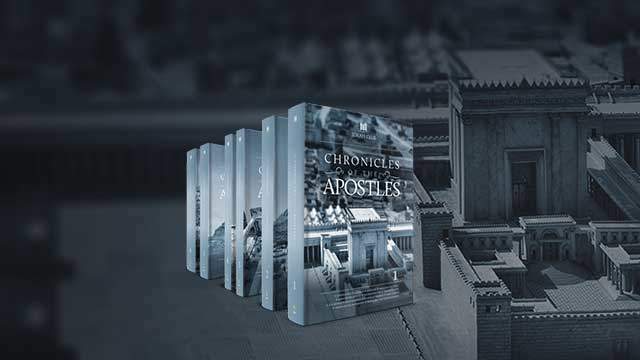 Chronicles of the Apostles goes beyond the book Acts to follow the apostles around the world, to tell the story of early Messianic Judaism, and to explain the parting of the ways between Judaism and Christianity. In a Bible study that reads like an epic novel, Chronicles of the Apostles harmonizes Josephus, rabbinic lore, and apostolic legends to tell the story of the martyrdom of Peter, the work of Thomas in India, the flight of the Jewish believers from Jerusalem to Pella, the fall of Jerusalem, John's exile on Patmos, the Roman persecutions, the second generation of disciples, the transitions from Sabbath to Sunday and from apostolic Judaism to Christianity. 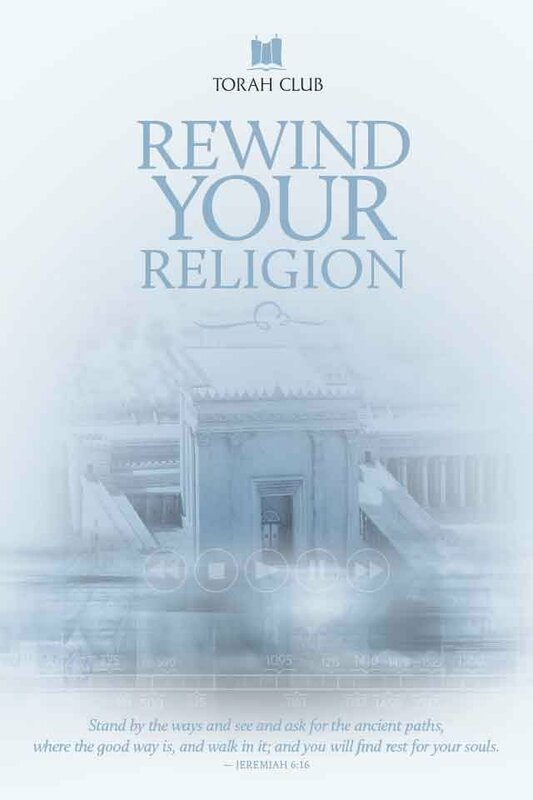 Rewind your religion and discover the truth about our Jewish roots. This edition consists of six case-bound books, including the Appendices that supplement the main commentary, plus a separate spiral-bound book containing maps, notes, etc. Book One: Presents Messianic Jewish narrative-commentary on chapters 1-11 of the Acts of the Apostles while filling in the broader picture with additional information from Jewish sources, Roman history, the writings of Josephus, and early Christian writings. Book Two: Presents Messianic Jewish narrative-commentary on chapters 12-18 of the Acts of the Apostles while filling in the broader picture additional information from Paul’s epistles, Jewish sources, Roman history, the writings of Josephus, and early Christian writings. Part two also tells the story of the Apostle Thomas’ mission to India and the consequential decision of the Jerusalem Council. Book Three: Presents Messianic Jewish narrative-commentary on chapters 18-28 of the Acts of the Apostles while filling in the broader picture with additional information from Paul’s epistles, Jewish sources, Roman history, the writings of Josephus, and early Christian writings. Part three includes the story of Paul’s shipwrecked voyage to Rome, John in Ephesus, and the martyrdom of James, the brother of the Master. Book Four: Scours the epistles and the book of Revelation, early apostolic sources, church legends, Jewish sources, Roman history, the writings of Josephus, and more to tell the story of the adventures of Bartholomew, Simon Peter in Rome, the evil Simon Magus, the fire of Rome, the first Neronian persecution, the death of Simon Peter, Paul’s journey to Spain, the martyrdom of Paul, the beginning of Jewish War, the flight to Pella, the siege of Jerusalem, the fall of the Temple, and the beginning of the current exile. Book Five: Draws on the epistles and the book of Revelation, early apostolic sources, church legends, Jewish sources, Roman history, the writings of Josephus, and more to tell the story of the believer’s return to Jerusalem, John’s work in Asia Minor, the persecution under Domitian, John’s revelation on Patmos, the divorce between Judaism and Christianity, the death of John, the persecutions under Trajan and Hadrian, the Bar Kochba War, the stories of Ignatius, Polycarp, and Justin Martyr, and the formation of Gentile Christianity. Appendices: Critical information necessary for navigating the other five books of the series, charts, maps, diagrams, genealogies, an extensive subject index, a Scripture index, indices of rabbinic literature, timelines, a bibliography and several other useful tools and resources. In addition, the appendices contain a new English translation of Franz Delitzsch’s Hebrew version of the book of Acts in the style and spirit of the Vine of David Delitzsch Hebrew/English Gospels. Geographical Notes and Marking: Includes significant historical notes, pertinent geographical discussion, map-marking guide, additional reference material, and a selection of full color maps. NEW: The expanded appendices contain a new English translation of Franz Delitzsch’s Hebrew version of the book of Acts in the style and spirit of the Vine of David Delitzsch Hebrew/English Gospels. Chronicles of the Apostles comes with a book of optional map studies to accompany each lesson. Students will find a short map-marking exercise in the Geographical Notes and Marking booklet. Using highlighters, pens, and colored pencils, students may mark the maps according to the instructions in order to familiarize themselves with the geography of the New Testament world and to better visualize the unfolding story. Each week’s marking exercise includes a short discussion. For additional maps and materials, visit Biblical Backgrounds at www.bibback.com. 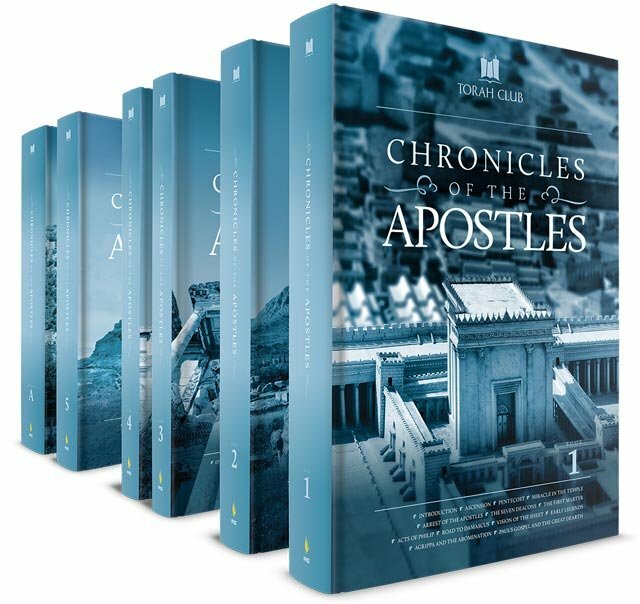 Chronicles of the Apostles Audio Commentary contains fifty-four audio chapters corresponding to the chapters in the written materials. The audio magazine supplement includes a short introduction to the material, an in-depth teaching on a subject from that week’s lesson, a segment featuring observations on apostolic practice, and a children’s story from the tales of the apostles. Introduction: Boaz Michael provides a quick introduction to the weekly lesson. Midrash: D. Thomas Lancaster expands on subjects selected from the commentary on that week’s material. Tales of the Apostles: Tikvah Michael tells the children tales of the apostles from the book of Acts and apostolic lore. Apostolic Footnotes: Toby Janicki offers further insights into apostolic thought, practice, history, and personalities.